Prominent & Leading Manufacturer from Coimbatore, we offer coir fiber extraction plant, coir fiber extraction machine, coir fibre bale press and coir fibre baling machine. We offer Coir Fiber Extraction Plant to our clients. It Consists of Auto feeder,Pre Beater,Beater,Cleaner,Screener and Conveying Systems. Delivery Time: 3 Months from Date of Confirmation of Order. Packaging Details: Pallet Packing With Stretch Wrapped & Strapped. Packaging Details: As Per Customer Requirement Packing is done.Transport also arranged. 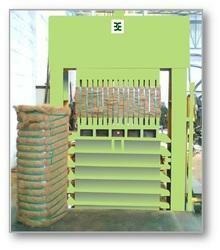 We offer Coir Fibre Bale Press to our clients. Packaging Details: As Per Customer Requirements Packing Will be done and transport will be arranged. 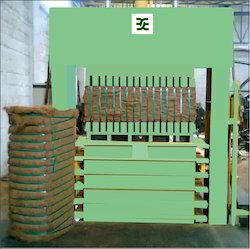 We are the leading and prominent Manufacturer and Wholesaler o Coir Fibre Baling Machine to our clients.